We are approaching the end of an era in Marvel's Star Wars comics. Kieron Gillen, the Eisner Award-winning writer whose work includes launching the publisher's Darth Vader series and co-creating the fan-favorite character Doctor Aphra, has announced he's leaving the franchise later this year. Gillen confirmed the news via his newsletter last week, while providing an update on his various comics projects. Gillen has been the writer of the main Star Wars title, which he took over from Jason Aaron in the fall of 2017, since issue #38. Issue #67, which will close out the upcoming "The Scourging of Shu-Torun" arc, is set to be his last. The next released issue will be #60, out next week. "I have three issues left to write in THE SCOURGING OF SHU-TORUN. That's issue 67, the end of my story, and I'll be off," Gillen wrote. "No present plans to write anything else in Star Wars – I suspect I've said all I've wanted to about these characters in comics. At least in this period, anyway." Star Wars #67 is set to be published this summer, and Gillen's replacement on the series has not yet been named. This marks the end of an era for Marvel's Star Wars publishing, which they took over from Dark Horse in 2015 in the build-up to the release of The Force Awakens. Gillen has been a part of that effort since the beginning, launching Darth Vader for the publisher and staying on that title for 25 acclaimed issues. During that time he co-created the galactic archaeologist Doctor Aphra, who quickly became a fan favorite character in her own right. Gillen then helped launched the Doctor Aphra ongoing series, for which he wrote or co-wrote nearly 20 issues, and joined the main Star Wars title as writer in November 2017. Now, nearly 30 issues later, it's time to say goodbye. 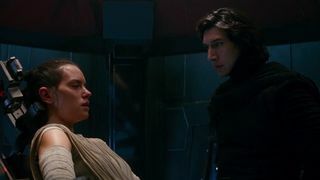 Gillen, of course, did leave the door open for returning to Star Wars at some point, noting that he's said everything he wants to say "in this period" of the franchise's history (the current main Star Wars title is weaving stories between the events of the original trilogy). For now, though, it's time for another writer to take over what's become a key part of Star Wars canon, while Gillen moves on to other projects, including his just-launched creator-owned series DIE and the long-anticipated conclusion of The Wicked + The Divine.